If you know me well, you’d know how much I hate having to deal with banks. I was going to write a very positive review on GTB, but my second visit to this same branch has totally unconvinced me. I arrived at the GTB Idi-Araba branch the first day to complain about the pin and card and I was attended to by a very nice customer care attendant. She directed me accordingly, and asked me to fill a form and come back in 5 working days. 6 working days after, I paid this same branch a visit. The attendant I’d worked with during my first visit was unavailable, so I was stuck with the other rude looking one – let’s call her Ms R for the purpose of this review. I’d noticed she was rolling her eyes while attending to other customers, and I was just praying to God that she didn’t try that with me, as I was not in the best of moods. Finally my turn came, and Ms R tried her best to be as civil as possible. She directed me to the counter with a form, which I had filled to the best of my ability. She then asked me to go to the end of the counter with no further instructions. I waited there for about 15 minutes before another customer showed me the right place to drop off the form. Upon dropping off my form, I was headed back to take a sit when one of the male attendants at the counter called me to sign a document. I asked him where I was supposed to sign, and he just ignored me the whole time. I went back to the customer care center to complain, and Ms R, who happened to be there again, was just laughing at me. I seriously had had enough at this point! The final straw was when the attendant who was supposed to confirm if my pin was ready or not basically threw my paper at me! I just flipped!! And since customer care had already proven to be inadequate, I had to look for higher authority. I asked to speak with the Manager, and nobody wanted to direct me to him. In the end, the security men showed me his office, and I met his secretary. I complained bitterly, and explained to him how wrong it was for staff to be rude to customers. I told him I knew my rights as an educated customer. I asked to see his boss in person, but he asked me to calm down. I didn’t even know the General Manager was there the whole time and listening to all my complaints. Mr GM was just quiet and sad. He ended up apologizing on behalf of his inadequate and ill-mannered staff. As I headed out of the bank, customers were singing my praises…I guess they’d had enough too but didn’t feel comfortable enough to bring this poor behavior to management’s attention. Here are a couple of suggestions for you: Train your staff accordingly!! I’m sure you know who your top performers are; put those people in front of your customers. As for those with bad attitudes -either don’t have them on your staff at all or put them in the back office where they don’t have to interact with innocent customers like me! Also, try and resolve issues before they escalate. This experience has left a very bitter taste in my mouth and I honestly won’t be recommending you guys to friends and family. As of today my problem with the card is yet to be resolved. GTB is so slow!! And I’m open to suggestions of better banks in the area! Truth spoken….they have terrible customer service tbh! And the queues at their idi-araba branch is quite annoying! Good review! Sandra! Good Job reporting to the manager. I’ve had my own fair share of terrible banking services. If you want to switch banks, you could go to UBA. They are old, but reliable. Sandra you did very well. I had a similar experience and I threatened customer service I would shut down my bank account and never do anything with GT again (And I wasn’t bluffing). Most Banks in Nigeria operate with a mediocre mentality, once they see a person is rich, they give that person special attention, which is stupid really, because “an average customer today can be a wealthy one tomoro”. 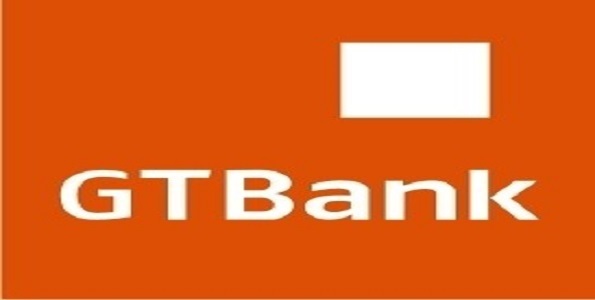 A point to Note: GT Bank is a Brand name, it is an image…so if one branch is useless, the Bank as a brand name is also useless…and if a Branch is good, the whole will also be good. Like Sandra said, put polite people at the front desk. However don’t put the nasty ones at the back, it is better to sack them! (If a Branch in a Beautiful Tree is decayed, cut it off so the Tree’s Beauty can remain). Eyah. GTB is a reallt good bank. I just think they have incompetent staff at their idi-araba branch. Their customer care Enployees are rude and impatient. I think you should stick with GTB and operate from another branch. If you must change accounts.. you should bank with Skye bank.